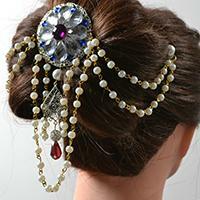 "making bridal beaded hair accessories"
Are you interested in beaded hair accessories? 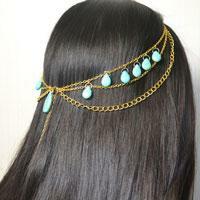 If yes, you will learn something fresh from today’s Pandahall tutorial on how to make girl’s beaded hair bands with drop glass beads. 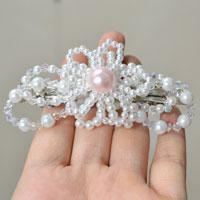 This is a detailed instruction on how to make a bow hair clip with purple and white pearl beads. 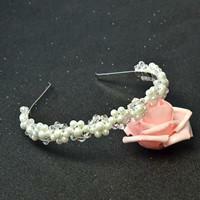 The pearl bow makes every girl elegant! Make a try! 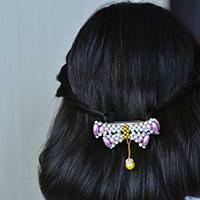 This is an easy DIY project for pearl jewelry lovers and DIY green hands. 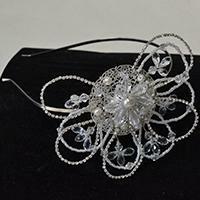 Follow my steps and try to make one if you want to own this elegant beaded flower and bow hair clip for wedding! 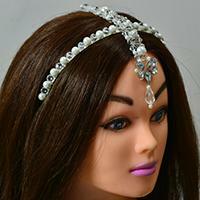 This is Pandahall's free tutorial on making a flower headband with pearl beads and glass beads. 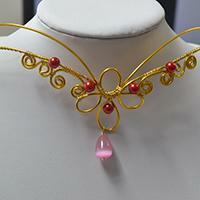 After my tutorial, you may also come up with other ideas about beaded flower headhand. 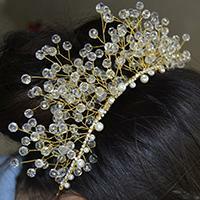 In today's DIY project, you can see a free Pandahall tutorial on how to make a golden bridal headpiece with wires and beads.